Stay high on the style quotient by wearing this top from the reputed brand, Marie Claire. 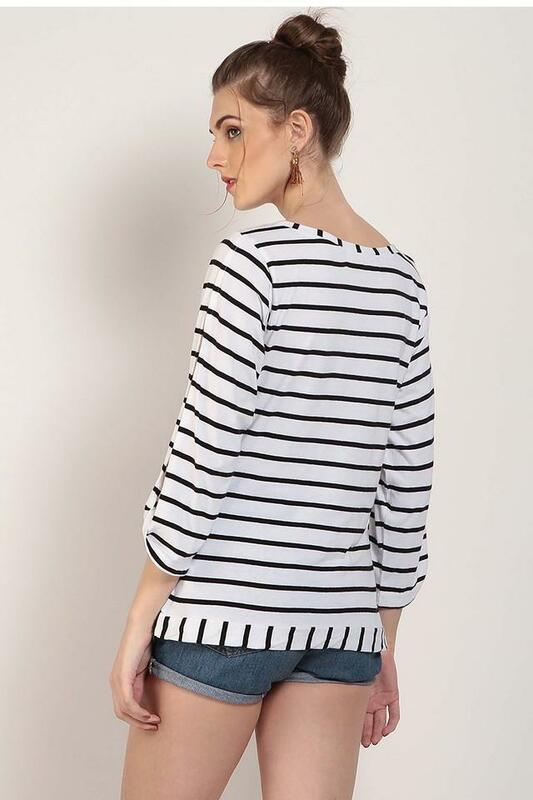 It has been crafted with care from superior quality fabric, which promises to give you a comfortable feel all day long. 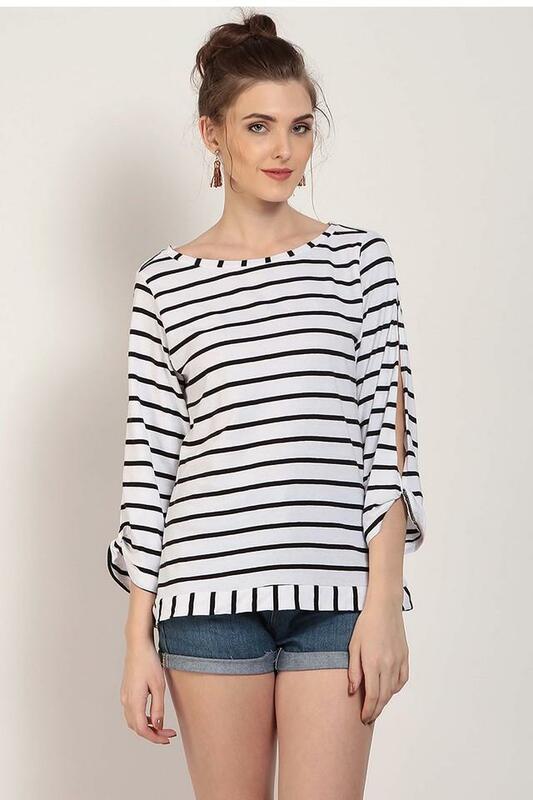 The trendy stripes along with the round neck and slit sleeves lend it a classy appeal. When it comes to any casual occasion, this top will be the right pick for you. 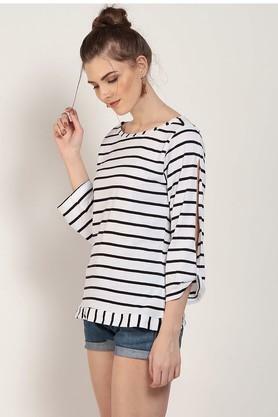 It can be teamed with a pair of jeans and heeled sandals for a complete look.